He began his piano studies at the age of 15 and in less than three years completed eight grades of the RCM piano syllabus and was accepted to the piano studio at the University of Prince Edward Island with professor Dr. Frances Gray. While completing his Bachelor of Music Education degree with honours, Mark captured first place in the UPEI Performance Competition in three consecutive years and in his final year of study was able to pursue his passion of collaborative piano studies. Mark was recently seconded to the PEI Department of Education and Early Childhood Development to complete work in the area of curriculum support for PEI schools. He is currently on leave from his position as Music Director at Three Oaks Senior High School, Summerside PEI. He is credited with directing several musicals including director and pianist for the 2011 summer production of Twenty Something at the Guild in Charlottetown. High Cs Core Choir director Gary Ewer is a Halifax-born composer/arranger and music teacher. He received his Bachelor of Music degree from Dalhousie University in 1982 then continued studies at McGill University. He returned to Halifax in late 1985 and taught trumpet, theory and history at the Maritime Conservatory of Music. In 1990 he began teaching in the public school system in Halifax. As a composer, Mr. Ewer has written for a variety of professional ensembles, and his music has been performed at various groups. Mr. Ewer is a full-time instructor at Dalhousie University, Halifax, teaching aural perception and music theory but is presently on Parental Leave. He is the conductor of the Dalhousie Coro Collegium and the Chamber Choir. 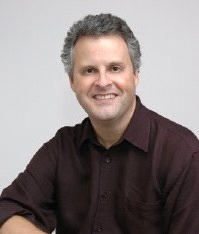 He is the author of Gary Ewer’s Easy Music Theory, a CD-ROM course in music rudiments. Master Class Leader Jennifer Farrell appears regularly with professional Canadian ensembles in the fields of oratorio, opera and choral repertoire and has performed many times as a soloist. While maintaining her solo career, Miss Farrell completed a Doctor of Musical Arts degree at the University of British Columbia in 2008.